The GhostBed and the Lull look very similar at first glance. Their components are quite similar, and they are very close in price. It may be difficult to choose between them at first but, to assist you in the buying process, I have broken them down based on construction, firmness, and feel. 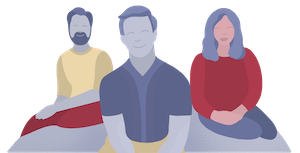 Read on to find out what mattress will be the best pick for you. These are both all-foam mattresses. They both incorporate memory foam in their design. Latex or a latex-like layer can be found in both mattresses. They are very close in price. The GhostBed is thicker than the Lull. The GhostBed is 11” tall while the Lull is only 10” tall. The comfort layer is thicker on the GhostBed. It has 3.5” and the Lull has 3”. While they both have memory foam in their construction, with the Lull, it is on top. With the GhostBed, it is in the second layer. 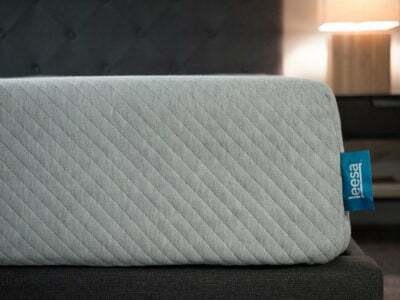 The GhostBed has a balanced foam feel, and the Lull has a classic memory foam feel. The final layer is 7.5” of a high density, base support foam. 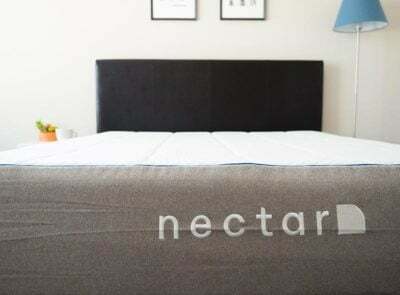 Read our full GhostBed mattress review HERE. The first layer is 1.5” of a gel memory foam. Next, is a 1.5” layer of transition, latex-like foam. The final layer is 7” of a base support foam. 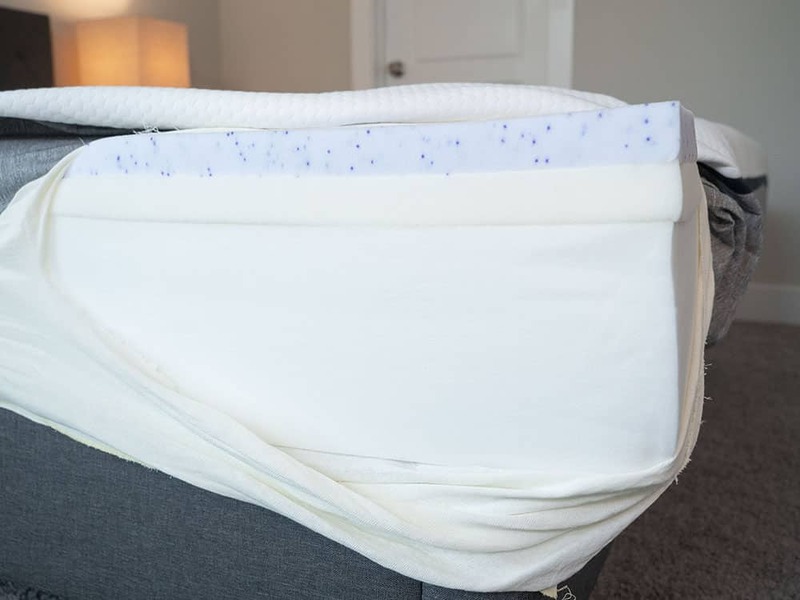 Read our full Lull mattress review HERE. They both have soft, thin covers that allow you to engage with the other layers of the mattress. The main difference can be found in the mattresses’ comfort layers. 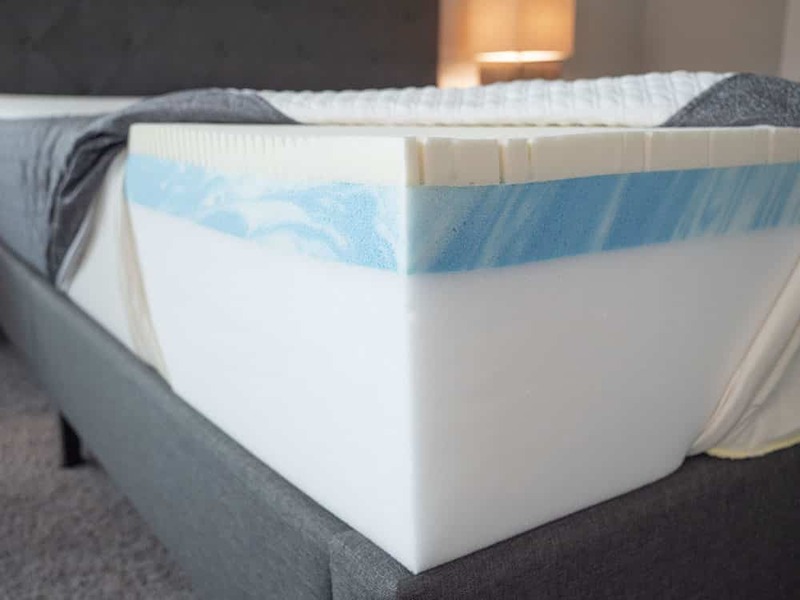 The comfort layer of the GhostBed is a latex-like foam, and the comfort layer of the Lull is a soft memory foam. 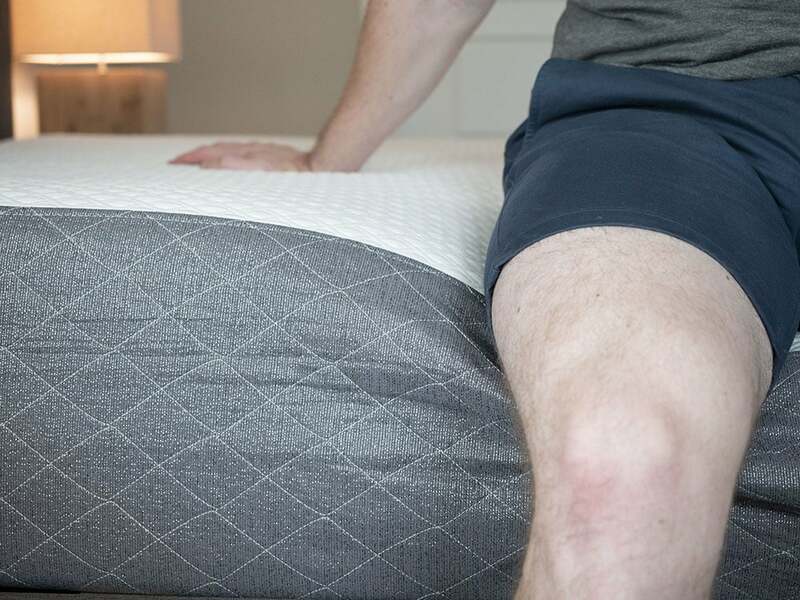 These give the GhostBed a balanced foam feel and the Lull a classic memory foam feel. It should be easier to move around on the GhostBed. The top latex layer of the GhostBed has holes in to make it breathable. Out of the two mattresses, the GhostBed will probably sleep cooler. This comfort layer is also thicker on GhostBed, so it may be a better fit for some heavier sleepers. There is less chance of heavier people pushing through that soft upper layer down to the firmer layers beneath. 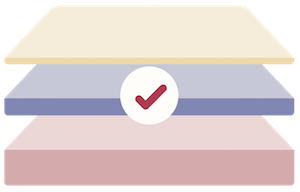 While the base layer of the GhostBed is of a higher density, it is quite similar to the base layer of the Lull. However, the overall density of the foams in the GhostBed is greater, so it may be more durable. Between the two mattresses, I felt like the GhostBed was a bit firmer. I put it at 7.5/10, while the Lull felt like a 7/10. I felt better on my side with the Lull. There was little pressure on my shoulders and hips. On the GhostBed, I felt better on my back and stomach. This mattress was definitely the more supportive of the two mattresses. In terms of feel, the Lull has more of that classical memory foam feel. The GhostBed has a balanced foam feel. Between the two, it was easier to move around on the GhostBed. You can see how GhostBed’s balanced foam feel in the video below. See how the slow-moving memory foam responds when I apply pressure to the Lull. Is a quicksandy sinking feeling what you are looking for in a mattress? With the Lull, the memory foam is in the top layer. This gives the mattress a classic memory foam feel. Because of this, I expected it to perform better than the GhostBed with its balanced foam feel. I definitely felt like the Lull isolated motion more effectively than the GhostBed. If you sleep with a partner and don’t want to feel them moving around at night, I would lean toward the Lull. The GhostBed is the thicker and firmer of the two mattresses. This made me think it would have better edge support than the Lull. My predictions were correct. With the GhostBed, I felt more secure as I sat near the edge. Also, lying down, I felt less like I was going to be ejected from the mattress. You can see the edge support of each mattress in the photos below. With the Lull, I thought it was an 8/10 for firmness and, with the GhostBed, I felt like it was an 8.5/10. With both these mattresses, on my side, I think I am a bit too large. I pressed through the comfort layers down to the firm layers beneath. I had too much firmness on my shoulders and hips. On both these mattresses, when I was on my back and stomach, I felt good overall support. If you’re my size and a side sleeper, you might need something softer than either of these mattresses. If you’re my size and a back or stomach sleeper, both of these might work for you. While I thought the Lull felt nice on my side, Marten did not have the same experience. On both mattresses, he pressed through the soft upper layers and felt the firm layers beneath. However, both mattresses gave him decent overall support. You sleep on your back or stomach. The GhostBed is the firmer of the two mattresses. It should give you better support on your hips. Also, if you just want a little bit firmer mattress, this may be the better choice. You are a heavier person. 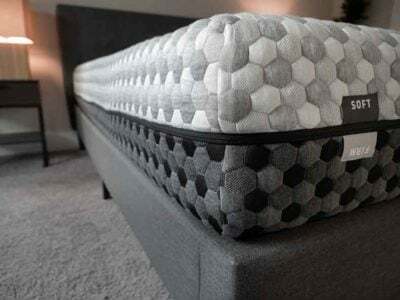 This mattress is thicker and it has higher density foams in its construction. This makes it so heavier people should get the extra support they need. As we say with Marten, the top layer of the Lull was actually too soft. You prefer a balanced foam feel. 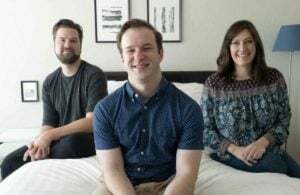 It is easier to move around on the GhostBed without feeling “stuck,” so if you don’t want that classic memory foam sinking feel, this is the better choice. You are a side sleeper. 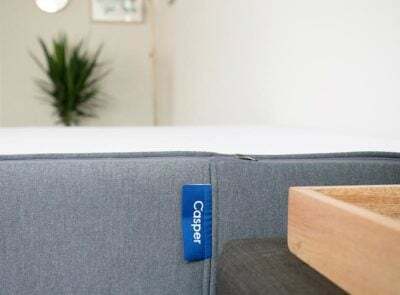 The Lull is definitely the softer of the two mattresses and features better pressure relief. That soft upper layer of memory foam made is so I felt little pressure on my shoulders and hips. You prefer a classic memory foam feel. Between the two mattresses, this has more of the slow, sinking-in feeling you get with some memory foam mattresses. If you like that slow compression, this may be the better choice. Both of these mattresses have a lot to offer depending on your sleeping preferences. If you are a back or stomach sleeper or prefer a balanced foam feel, I would lean toward the GhostBed. If you are a side sleeper or prefer a memory foam feel, the Lull is probably the better pick. Please leave any specific comments or questions about the GhostBed or Lull in the comment section below.